Perfect World Entertainment Inc., a leading publisher of widely-acclaimed free-to-play MMORPGs, is pleased to announce that Swordsman will enter Open Beta on July 3, 2014. Players who have taken part in the currently ongoing Closed Beta will receive their Closed Beta awards once Open Beta starts. Additionally, Perfect World Entertainment has released a brand new Swordsman producer walkthrough trailer, where Product Manager Gabrielle Heiland covers the key pillars of Swordsman, from its cinematic story and action-packed combat, to fluid movement, skill-based PvP, and immersive guilds. Artix Entertainment is celebrating its 10 year anniversary this week... or it would be, if not for EbilCorp. 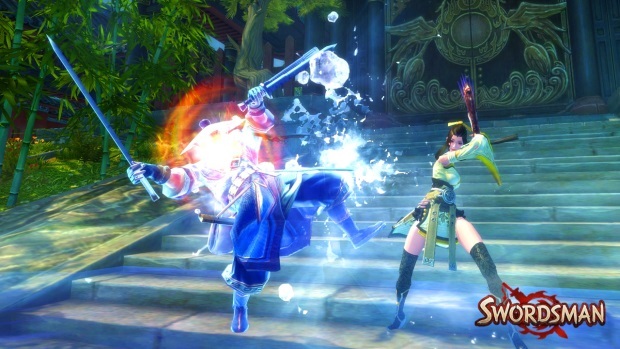 C9 (Continent of the Ninth)'s final closed beta test has been announced by Webzen.